petition: Protect Incredible Migratory Birds NOW! 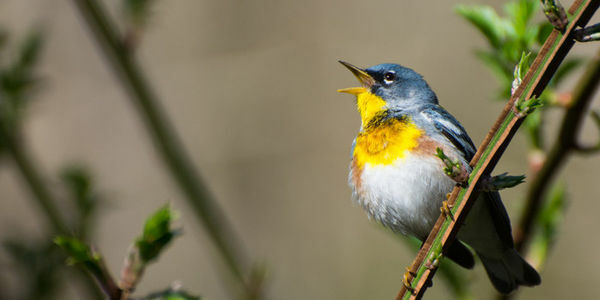 Protect Incredible Migratory Birds NOW! Migratory birds are in critical need of your help now. The Department of the Interior has severely undermined one of our nation's oldest and strongest bird conservation laws — the Migratory Bird Treaty Act. This policy directive absolves companies from responsibility for bird deaths in oil pits, on power lines, and from other energy-related infrastructure. A coalition of conservation groups including American Bird Conservancy is challenging this harmful policy change in court, and working with the new Congress to ensure that the Migratory Bird Treaty Act remains effective. We also must boost funding for migratory bird programs that have proven effective at recovering at-risk populations. Please take action today and ask Congress to fight for migratory birds and support strengthening the Migratory Bird Treaty Act! Migratory birds are in critical need of your help now. As a bird enthusiast, I urge you to support strengthening the Migratory Bird Treaty Act, which protects more than 1,000 migratory bird species, and to oppose a harmful policy change by the Department of the Interior that undermines this essential wildlife conservation law. This harmful policy directive absolves companies from responsibility for bird deaths in oil pits, on power lines, and from other energy-related infrastructure. Migratory birds play a key role in the U.S. economy, providing recreational opportunities that create jobs and generate billions of dollars in revenue. They are also are also good indicators of environmental health and provide many valuable benefits to people, including pollination, insect and rodent control, and seed dispersal. Unfortunately, one-third of all migratory bird species are in decline or facing severe threats from habitat loss, invasive species, pesticides, and collisions with windows and communications towers, to name just a few. To address these threats, the U.S. Fish and Wildlife Service proposed in 2015 the creation of an "incidental take" permitting system that would require applying best management practices and mitigating for unavoidable losses of migratory birds. For example, the agency has been requiring oil and gas companies to cover open oil pits to prevent birds from falling in and drowning in oil. But now, the Department of the Interior policy changes have removed incentives for companies to avoid such bird deaths, even eliminating penalties for companies that kill substantial numbers of birds in oil spills. Birds need the legislative protection of a strengthened Migratory Bird Treaty Act, and I ask that you please consider being an original sponsor of such legislation. We also must boost funding for migratory bird programs that have proven effective at recovering at risk populations. The following programs work together to conserve hundreds of different species, billions of birds, and millions of acres of essential wetlands and wildlife habitat. For these programs to continue successfully, they must receive adequate funding. Increase the Neotropical Migratory Bird Conservation Act to $6.5 million. Increase Migratory Bird Joint Ventures to $19.9 million. Increase State of the Birds funding for critically endangered Hawaiian birds to $5 million. Increase North American Wetlands Conservation Act to $50 million. Increase State Wildlife Grants to $70 million. Increase Invasive Species Control by $10 million. Thank you for considering these requests to conserve migratory birds and strengthen the Migratory Bird Treaty Act.